Transfer Case: JB Conversions NP231 HD, Std. SYE, 6 gear planetary. Future Mods: Element Enclosures on tube doors. Those cracks and somebody selling that is absolutely sickening. Hoping that the seller will man up and do the right thing. I have found that there aren't many Ebay sellers that will...especially when the 'warranty' deadline has passed and your recourse is limited to a negative PR campaign. I was 'jerked' around with a mythical Fed-Ex claim to eat up the return period by a radiator/parts seller. Fortunately, I was able to reheat and repair a thrice shipped and twice rejected unit that got re-routed to me (if the price is too good to be true...). Ebay tends to protect high-volume sellers, IMO. As I had posted earlier, those pics make for a nice Small Claims action, IF you have the perseverance to do the process. Axle Gear Ratio: 4.10s for now. Future Mods: might entertain SOA again; 4.7 stroker is a possibility. eBay doesn’t stand behind anything! They just catalyze the sale. I avoid eBay like the plague! Jeepsr4me and 1project2many like this. [size=“3”]Shackles & D-rings are different things. Accessories: HID lights and 45" LED on light bar. All real engine rebuilders I've seen put a heat sensing device in one of the freeze plugs. If it overheats, the thing melts and the warranty is void. I bet the scumbags blame you overheating for the cracks. Just one of the reasons I choose not to do much business with ma & pa places vs. a corporation. With the big corporate places, the return doesn't come out of their pocket. They just work there. A ma & pa place, that return comes right out of their pocket and that 1000 dollar return is their mortgage money for the month so they will take the reputation hit instead of being tight for a month. SO after getting a bad crankshaft grind that ruined an engine, Bill's Machine Shop will tell you to take a flying leap. It's why I don't do engine building myself anymore. So many machine shops have equipment from the 50's and the big commercial rebuilders have the newest laser guided machinery with modern quality control. 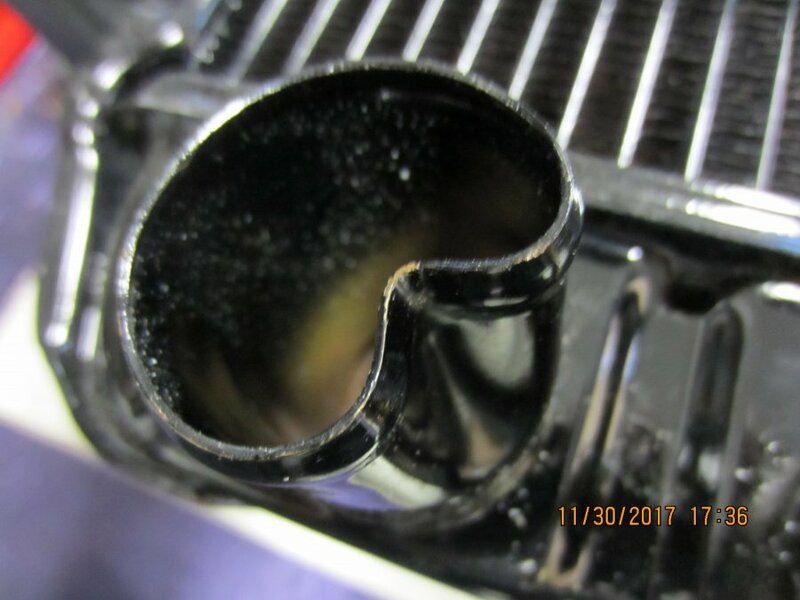 A bunch of engines, right here on this forum, were never machined properly. The poor sap paid more than if he bought a crate motor and the machine shop told them to go **** himself. They couldn't take the hit. So I only buy crate motors now from big commercial re-builders and I pay by credit card. Usually after 90 days the CC company will only reverse charges for cases of fraud. Yes, I think an improper block repair is fraud. But will the CC company? Before you go too much further, look into a chargeback. When someone ****s me, I'm not beyond lying like a rug to **** them right back. Haven't seen a anything like that, but I'll definitely take a look! Finished pulling engine today, but was so give out when I got done, just put her on the engine stand and called it a day. I hope to have some sort of reply tomorrow. Not expecting much and going to have to put on my mean face! Doesn't that just tick you off! Right now, I don't know how I'm going to proceed. I'm just going to wait and give them the opportunity to respond. I know they are going to throw the old "90 day warranty" at me. I was reading a post on an old post and some lady had purchased a jeep from a "fixer upper" type Jeep dealer in Florida I believe. Evidently she ordered by looking at pictures. What was shipped to her home was a completely different Jeep than she had purchased with numerous outstanding issues. The folks told her once she took ownership of the shipment, it was hers. I don't see how some people can live with themselves doing business like that. I can GUARANTEE that if the owner of Jeep Parts Depot wanted his employees to build HIM a remanufactured engine and they showed him this one....he would fire them on the spot! He wouldn't want it in his, so why would a customer???? Your state will have a department of business, possibly a fraud division. Won't hurt to check that out and see what the rules are for getting redress. The BBB MAY have files on these guys, in their home locale as well. Bad publicity is your friend. I’ll definitley check into that. As of now.... no response. Ebay tends to have a lot of scammers even if they’re high-volume sellers. Really, Fish, which grammar did you fix? Maybe I'm missing it because I made the mistake, but I can't find what you're referring to? Armor: Don't run into stuff! He was joking. Not grammar. He stated an emphatic denunciation of eBay. I used to love eBay, when they first got started. Been a couple of decades now. It used to be mostly private sellers, selling a tool or widget that they didn't need anymore. Basically the same thing as the classified used to be in the newspaper, and then later what Craigslist became. Now eBay has almost nothing but online businesses. Very little individuals anymore. Craigslist is headed that way too, but at the moment still has a good portion of regular people selling stuff. 1988 Wrangler,4.2L I-6, Howell EFI JP-1,CRT HEI Ign,AX15 ext slave conversion, Zone 2.5" lift + 1/2" booms, BFG 31 x 10.5, Bestop. Nope- nothing wrong with your post. Just satirically leaning sarcasm. Nothing directed your way. No offense intended. Took me while to figure out the grammar as well. &#x1f633;. Had to go back and read. I spell it wrong all the time. Well, it’s 8:30 my time and have t received a response. Doesn’t suprise me. I’ll shoot another email tomorrow. Talked to a shop a couple of hours away from me and told me could bore all cylinders for $90, Magniflux (check spelling! ), grind head flat and seat valves for $130. Sound pretty right? Just keeping fingers crossed that everything internal is still ok. Going to need help from you guys on that! Never done a rebuild on my own on a large engine!